Sean Mann is a native of Easton, Maryland. His father took him on his first goose hunt when he was 5 years old. He began guiding goose hunters when he was 15. Sean Mann Sean entered his first World Goose Calling Championship contest in 1981, on a dare. Sean placed fourth in 1981, and fourth again the next year. However, in 1983, Sean finished third. Dissatisfied with “store-bought ” goose calls, Sean began designing a call of his own, which began the “long call revolution”. Sean took his prototype goose call to the World Goose Calling Championship in 1984. Although Sean and his goose call did not place in the top six contestants that year, he took many orders for calls from his fellow callers and professional guides. “The Eastern Shoreman” goose call was born. Sean won the World Goose Calling Championship in 1985 and repeated his championship performance in 1986, using “the Eastern Shoreman”, the “long goose call” he developed. Since 1985, Sean’s goose calls have won 13 World Championship Titles, 6 World Game Calling Championship Calling Titles, 2 International Invitational Goose Calling Titles, The World Goose Calling Champion of Champions Title (the first call to do so), and The International Invitational Champion of Champions title (the first call to do so). They are used by winners of 36 World and International titles. No other calls even come close! In 1994 he won the Mason-Dixon Regional Duck Calling Championship – with his own duck call. 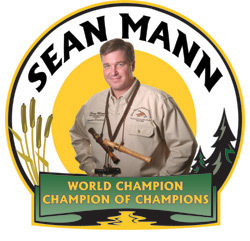 Sean repeated his victory in the Mason-Dixon Regional Duck Calling Championship in 1995. Sean was the first winner of the prestigious “World Goose Calling Champion of Champions” competition held at the 1995 Waterfowl Festival in Easton, Maryland. As the victor of this competition, Sean was automatically and officially retired from World Goose Calling competition. In 1997 Sean won the Mason-Dixon Regional Duck Calling Championship for a third time, officially retiring him from that competition as well. In fifteen years, Sean was a finalist in 12 World Goose Calling Championships, and 9 Mason-Dixon Duck Calling Championships, an unprecedented record in the history of the sport. Sean is the first and only person to ever be officially retired from all adult division calling contests at the Waterfowl Festival. Sean founded the Maryland State Duck and Goose Calling Championship Contests, The Chesapeake Bay Open Duck and Goose Calling Championships, the Upper Chesapeake Bay Goose and Duck Calling Championships, the Susquehanna Flats Classic Goose and Duck Calling Championships, the Old Time Barnegat Bay Goose and Duck Calling Championships, and the Old Time Barnegat Bay Two-Man Team Waterfowling Competitions. Sean is a full-time Call-Maker, Hunting Guide, and Charter Fishing Captain. He gives youth waterfowling seminars throughout the year, throughout the country. Sean and his wife, Susan, who has put up with all of the noise since 1984, live in Maryland.